Unlike most big lottery winners who spend days, or even months, trying to figure out how they’ll spend their newfound riches, Tom Crist needed only a moment to decide where his $40 million in winnings would go: all to charity. Top on the list would be the medical center that cared for his late wife when she developed cancer. Still, it took Crist more than six months to tell anybody — including family members — he’d won. The retired Calgary executive had been lunching between rounds of golf in Palm Springs when his cell phone rang and he was told the news. Crist hung up the phone, finished lunch and went back to golf. Finally at the behest of the Western Canada Lottery Corp., he agreed to go public and have his photo taken. The fine print on the lottery subscription he’d bought had demanded as much. 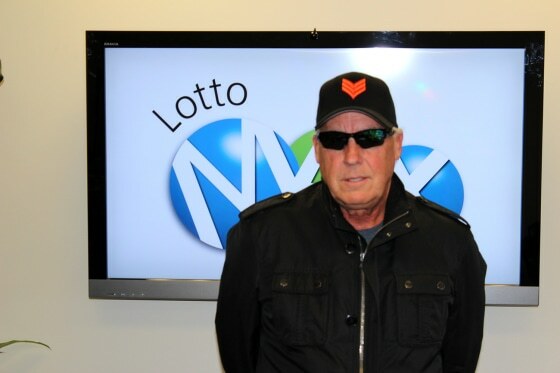 The shy and retiring senior showed up for his win photo in dark glasses and a baseball cap. The former CEO of EECOL Electric said he didn’t need the money for himself or his family. His plan was to donate his winnings in honor of his wife Jan, who died in February of 2012 after a long battle with lung cancer. Crist delivered his first big check — $1.2 million — on Tuesday to the Alberta Cancer Foundation, which collects donations for Calgary’s Tom Baker Cancer Centre, where Jan had been treated. He strode into the ACF office, check in hand, without any prior warning, Phoebe Dey, a spokesperson for the foundation told NBC News. Crist’s son, Dallas, told Global News Calgary that he only learned about the $40 million when his wife called after having seen a news report.